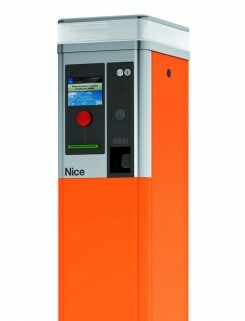 For the automatic management of off-street car parks: is born already great! Designed to manage all the different requirements today necessary for professional management of: city parking areas, trade fair entrances, malls, hospitals, amusement parks, airports and stations, and all the other communities, small, medium or large parking areas. The System enables access, control of vehicular flows, automatic or manual collection of payments. Versatile and maximum flexibility in customization thanks to the modularcomponents. Cutting-Edge Software: very easy to install, very easy to use and very easy to program. It provides safe, fast and simple management. available with hardware options (Embedded PC management, display for messages to the customers, …) and software to manage an additional terminal or to handle advertising or service messages. Cash machines with operator and automatic cash machines for any payment system, both for the occasional clients and subscribers, for any kind of parking, including multi-storey. Information boards to manage up to 4 areas, traffic lights with two lights (red/green) and Led technology to regulate entrances, intercom system for the communication between terminal gates and the operator: from the traditional to the most advanced VoIP and even video link between the various terminals and the operators with Internet connection. All the components of the NicePark system can be connected via Ethernet. Easy integration to the other Nice automation systems thanks to Nice busT4 connection. Designed for high scalability. From the simple parking management module (storing client data, client accounting records and information distribution network), to additional features over time for: access control system, guided tours, totems for information and advertising, also with time schedules and the possibility of remote supervising of the installation. Cutting-edge software: designed to be installed even with limited computer skills, graphically configurable in an easy drag & drop mode: “the Nice for you Web”. Installable on Unix/Linux and Microsoft Windows systems. The new range of road barriers for access control, the ideal solution if you need to control vehicle transit in public parking areas, car parks, private and block of flats entrances, even when the traffic is heavy. 3 model sizes available. 24 Vdc gear motor, electronic limit switch and encoder-controlled movement. Built-in control unit compatible for all the models with Nice BlueBUS technology and led flashing light. M-Bar and L-Bar are the ideal complements to the NicePark System thanks to the possibility to integrate a traffic light. 2 length bar versions, 3 m and 4 m, to join as it is required with a new aluminium braket.